1. Export MDS from 11g EM console. 2. Import MDS to 12c EM console. MDS in 11g will be exported as the ZIP file. Steps to export MDS and save ZIP in the local system. Login into 11g EM console. Export and save MDS .zip file. 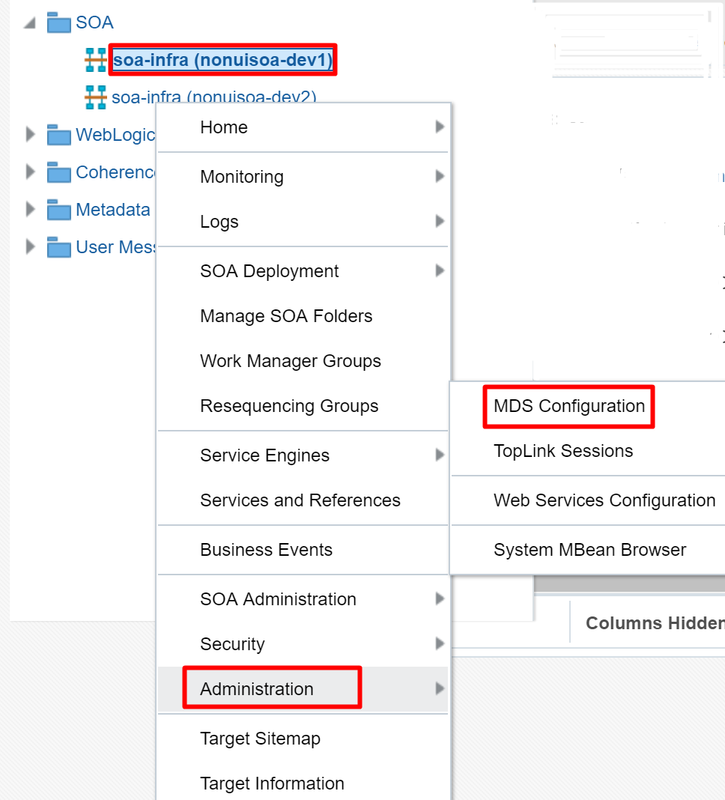 Login to 11g EM Console –> Expand SOA and Right click on soa-infra –> Select Administration –> MDS Configuration. Click on MDS Configuration and Export MDS Zip to the local system. It will have saved into Zip format. 12c EM Console to import MDS from the local system. Make a ZIP to required MDS. Login into 12c EM Console. Login into 12c EM Console –> Expand Target Navigation –> Expand SOA –> Right Click on soa-infra. 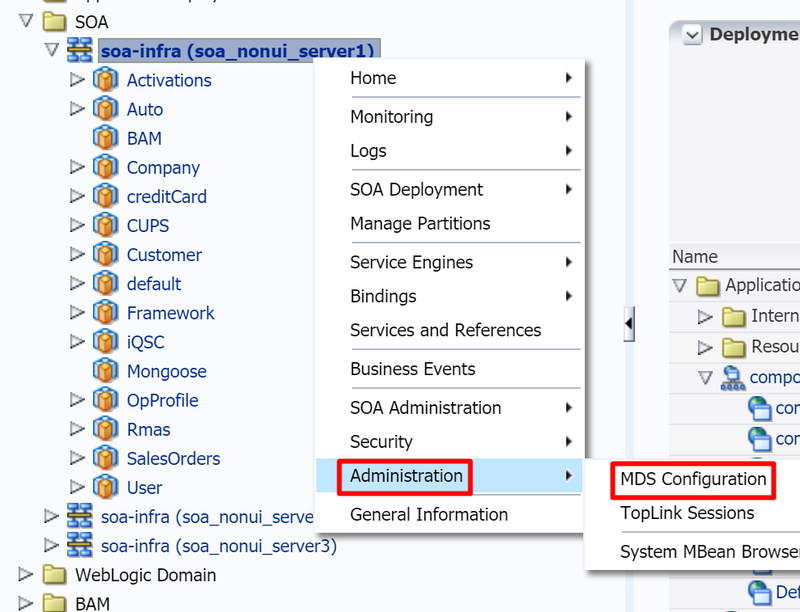 Select Administration –> MDS Configuration. Click on MDS Configuration and below screen will be displayed. Then Click on Choose File (Select Zip file from local system) and click on Import. Now MDS is successfully imported into 12c EM Console.